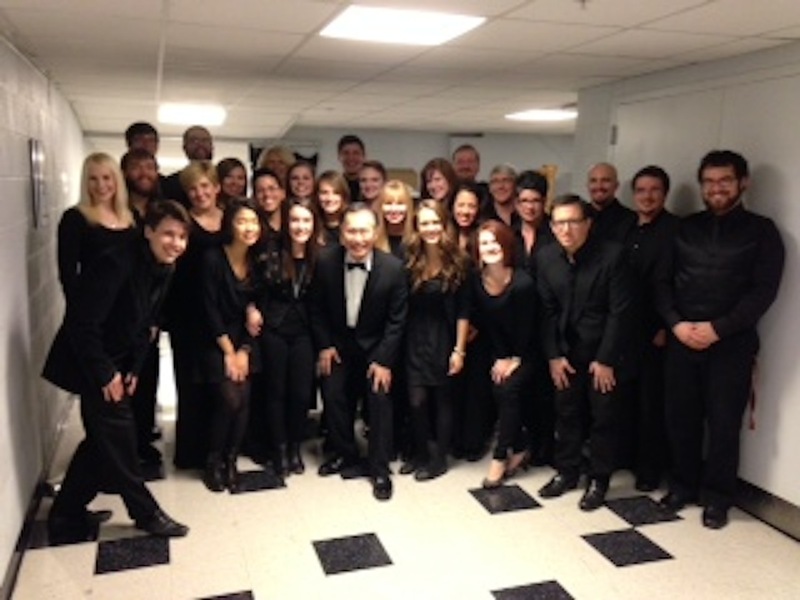 On November 1 and 2, eleven music students, three alumni and one professor performed at the Civic Center with the OKC Philharmonic along with George Takei. Among those involved were sophomore Marci Greene, senior Allie Oakes and professor Jim Graves. According to Graves, every season the Oklahoma City Philharmonic performs different concerts that fit into their “pops” series. “Sometimes they have jazz artists, like Jane Monheit, or pop artists, like Ben Folds. Other times they do music outside the normal symphonic literature. Their Christmas show fits into this program. This year they did a ‘Sci-Fi Spectacular.’ George Takei, ‘Sulu’ on the original Star Trek series, narrated, and Jack Everly conducted music from movies and television centered on the Sci-Fi theme,” he said. Greene said they had a total of 13 rehearsal hours in two days. Her favorite part was being a part of a professional group with her professor. “This event was awesome. I had never been in a venue looking at four stories of seating. The people we were around were nice, and it was awesome to be in that talented of a group. My family got to come down and hear it! It was all Sci-Fi music from Star Wars, Star Trek, The Jetsons, etc. It was an experience I hope to have again,” Greene said. Oakes said her favorite part about singing with the OKC Philharmonic was having the opportunity to sing with a professional orchestra. “I feel like I gained a better understanding of professionalism through this experience. I have sung with many ensembles but never anything quite like this. It introduced me to a totally new experience, which required lots of musicality, sight-reading ability and an understanding of what is appropriate when in rehearsals and performances. I hope to sing with the OKC Philharmonic Pops Chorale again,” Oakes said.